Woo hoo! Who doesn't like a good mystery?!? 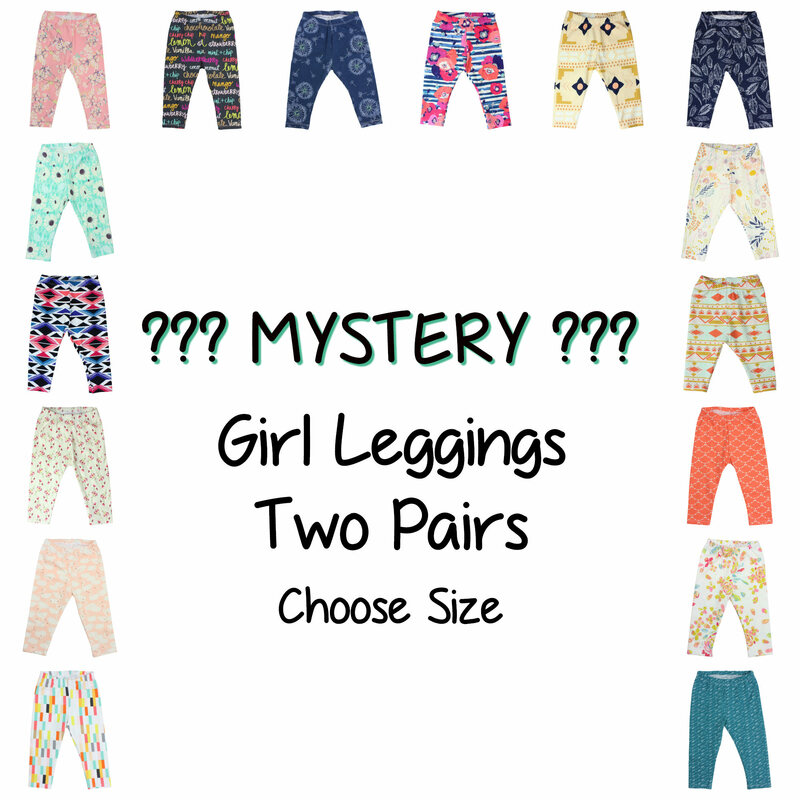 This listing includes TWO PAIRS of girl leggings - you choose the size. We have so many beautiful fabrics that it is hard to list them all - buy two at a discount and we will select the prints. AND, you save on shipping! These cute leggings are great for babies, toddlers, or older children! They are made from on trend, soft and perfectly stretchy, jersey knit fabric. All seams are serged for added durability and the ankles are professionally cover-hemmed or cuffed. The waistband is made from soft, braided elastic for excellent comfort. Please note, pattern placement will vary. All items are handmade. Because this is a mystery, leggings are not returnable unless there is a defect.